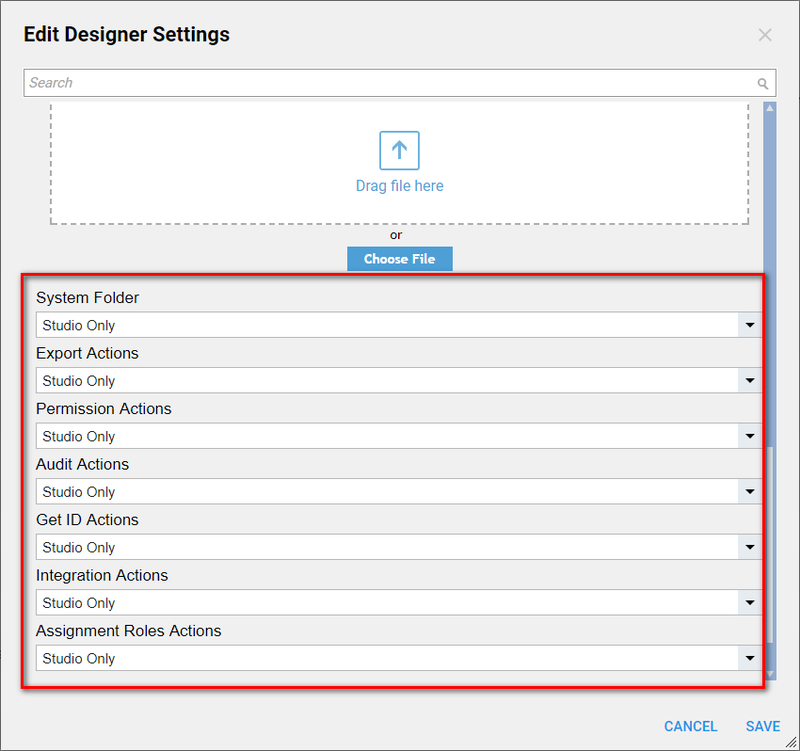 Decisions Studio	was implemented in Decisions 3.5 . This is basically an alternative Portal	for Designers . 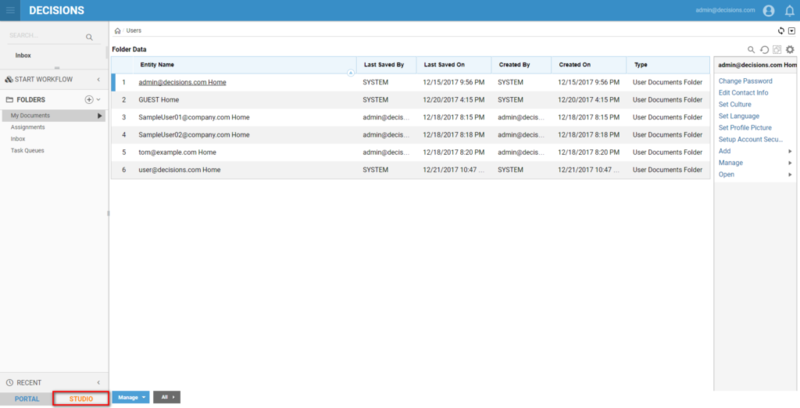 If we are logged in User Portal	, we can switch to the Studio	by clicking Open Studio	link on the panel in the bottom left of the Portal . 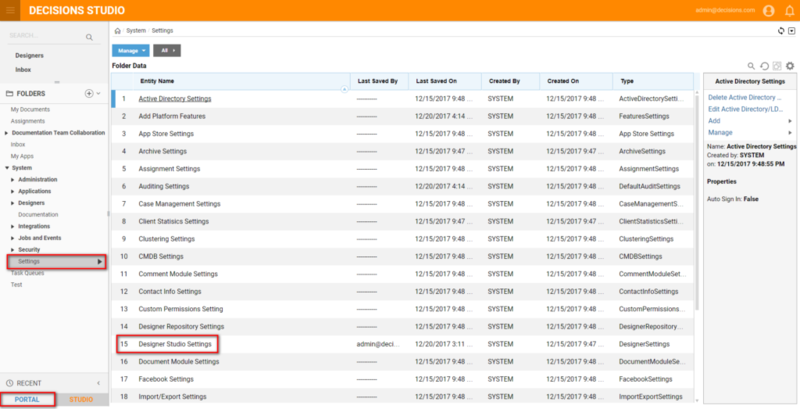 After we switched to the Studio	mode we can see that the top panel in Portal is changed to orange (by default settings) . Also, to switch back to the Portal click the button on the bottom left panel. 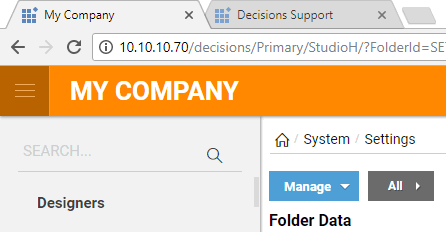 In the System > Settings	folder we should be able to see Designer Studio Settings. 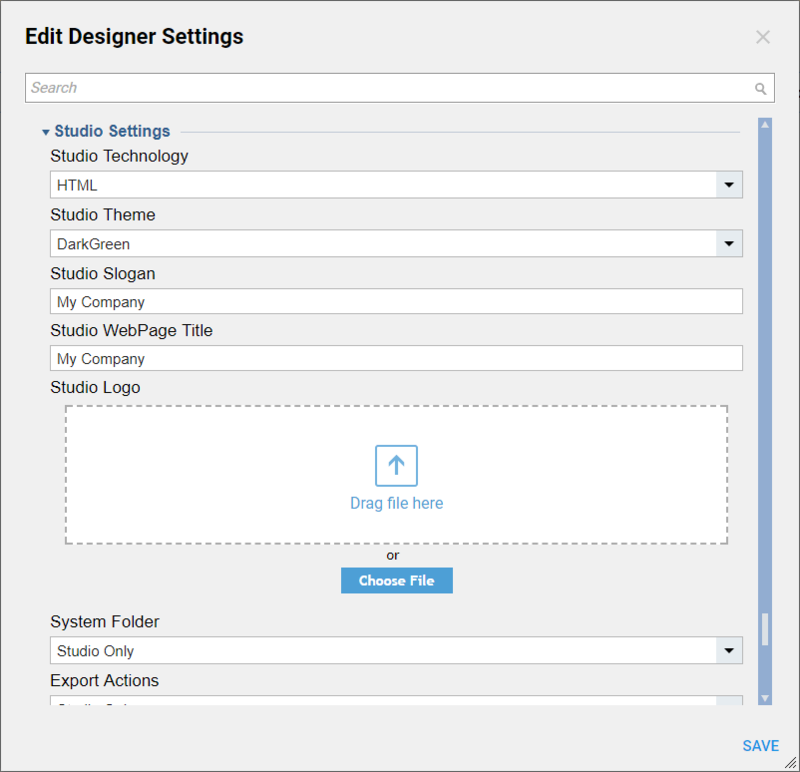 In Edit Designer Settings	window we should be able to find a set of Studio Settings. 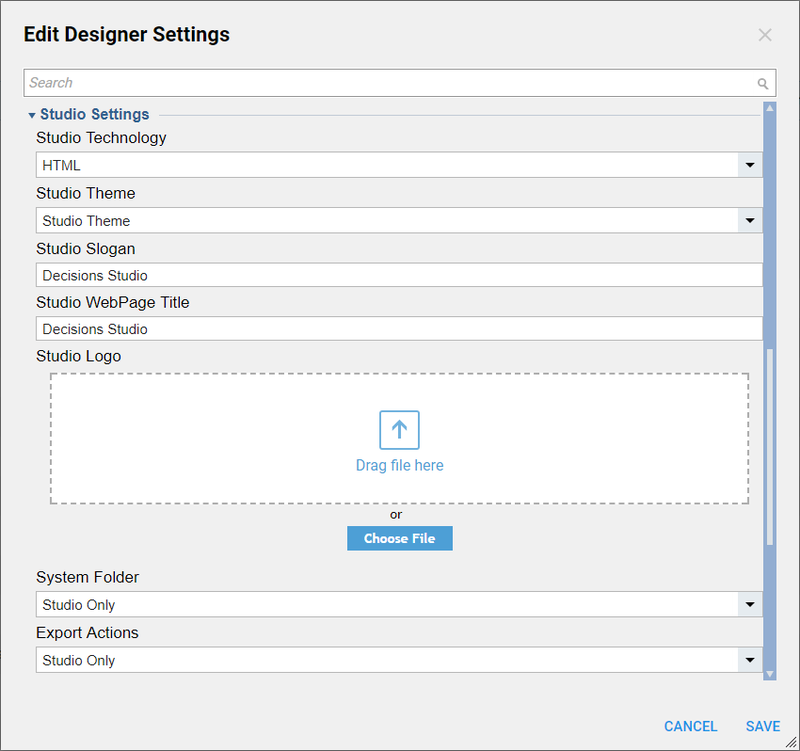 We can set Studio Technology	to Silverlight or HTML . 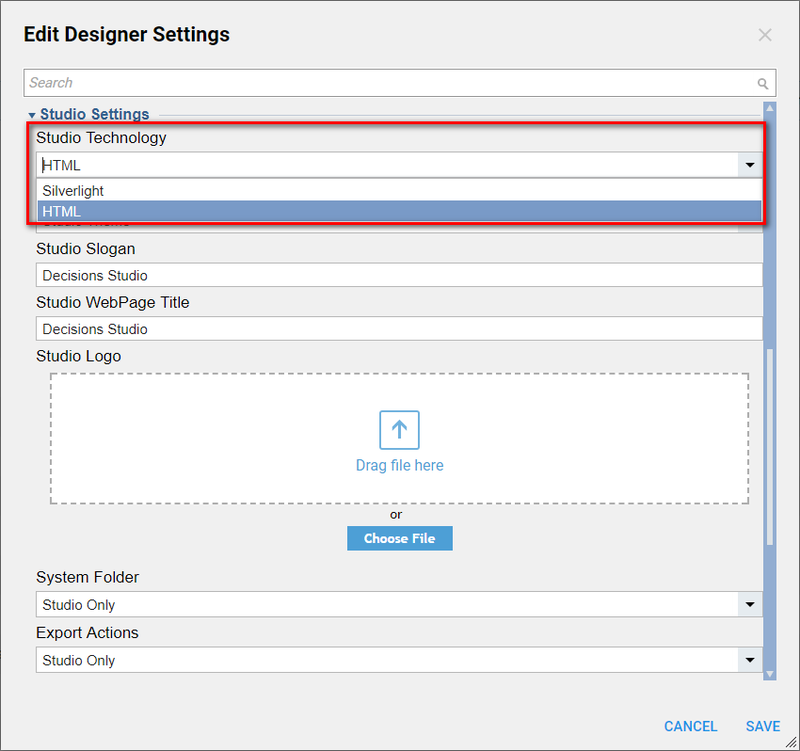 This means that when the user switches to Studio	mode, we force browser to load the Portal	in Silverlight or HTML mode. Next, we can edit the Studio Slogan	and Studio WebPage Title	. These will set Portal Slogan andWebPage Title uniquely for the Studio mode. Also, we can pick a different Studio Logo	for this Portal mode. If we reload the page in the browser we should be able to see all changes that we have set for Studio	mode.